This weekend, thousands of people hit the beach all around the Great Lakes — and not just to take advantage of the beautiful weather. Volunteers all across the region participated in the largest Great Lakes cleanup day of the year: September Adopt-a-Beach. From Lake Superior to Lake Ontario, and everywhere in between, Adopt-a-Beach volunteers combed their local shorelines and picked up litter. And this is not your average walk on the beach — Adopt-a-Beach volunteers put in work. Over the course of the whole summer last year, volunteers picked up more than 45,000 lbs. of litter, 85% of which was plastic. Yuck. 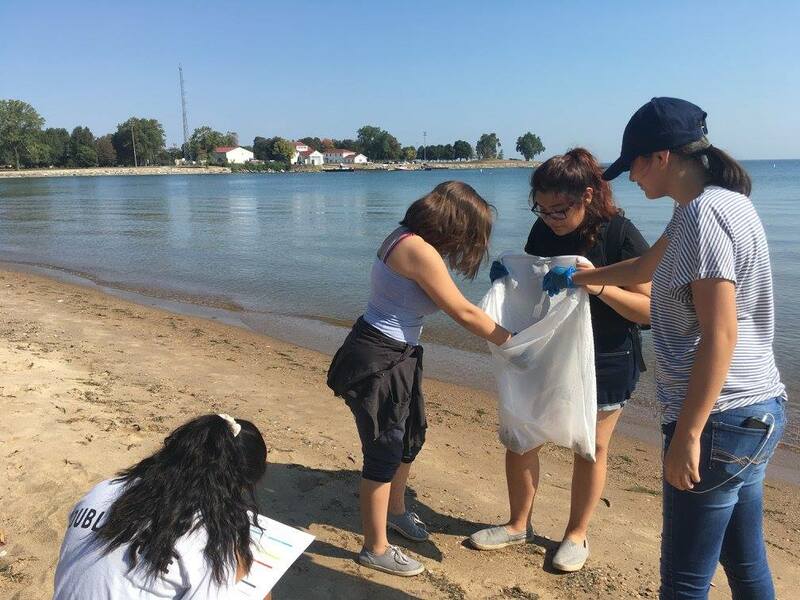 We’re working on compiling the data from this year’s September Adopt-a-Beach cleanup day. But one thing is for sure, people all around the region had a great day making a difference for the Great Lakes. 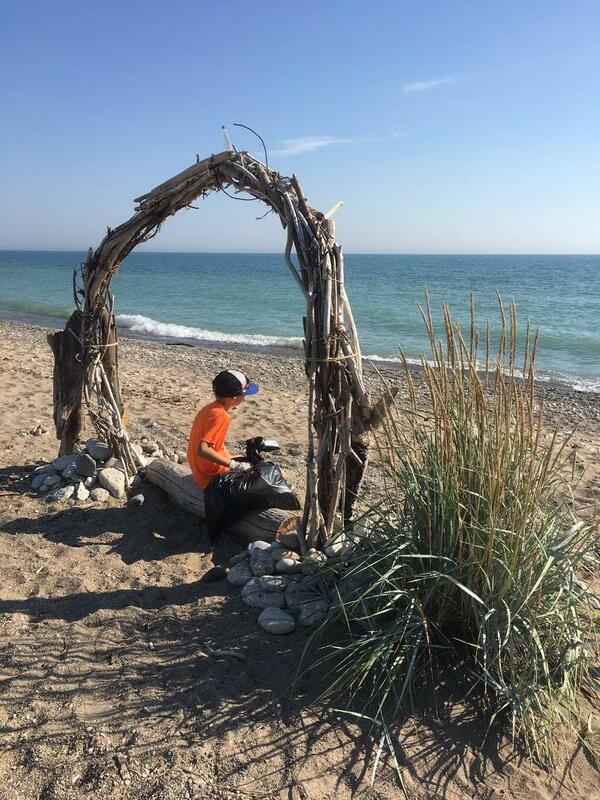 Here is just a sampling of how volunteers tackled September Adopt-a-Beach this year. 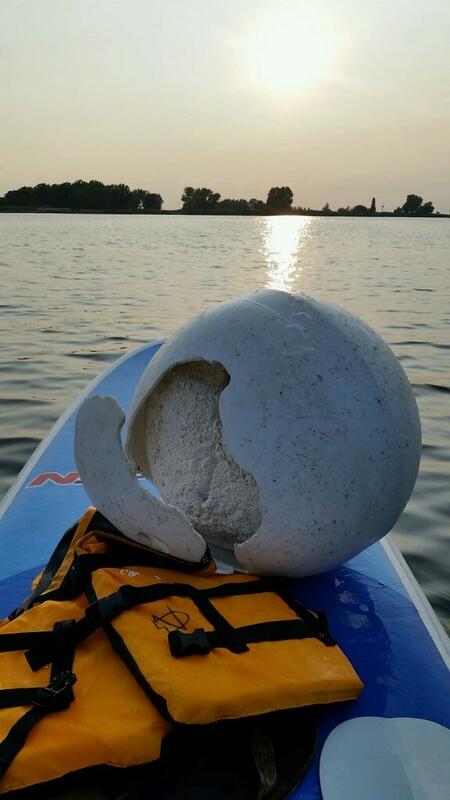 Not all Adopt-a-Beach cleanups are on foot! Alliance staff member Nate Drag set out on his paddle board in Buffalo, NY to collect litter in the water. A team picking up litter from Alford Beach, in Kenosha, WI stumbled upon this random act of driftwood. They used it as a marker for the distance covered during their cleanup. It even inspired them to collect and build their own driftwood structure! BuildOn Chicago brought together volunteers to cleanup Calumet Beach, in Chicago, IL. Students from Curie High School joined the event as well. BuildOn Chicago brings service learning to Chicago communities that are hit the hardest by poverty and violence. 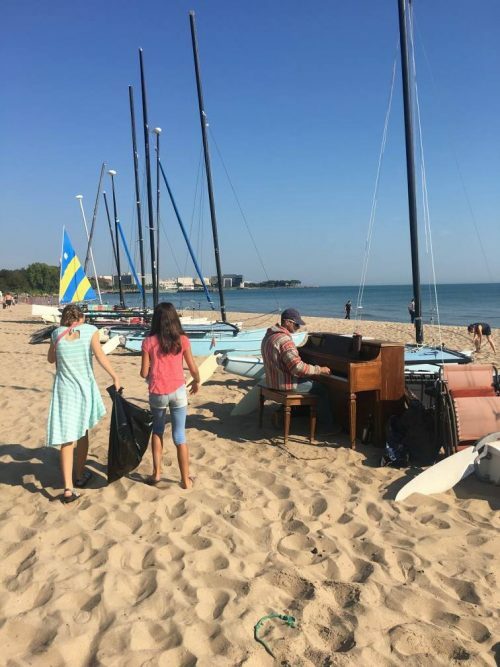 Volunteers at Dempster Greenwood Beach in Evanston, IL had a bit of musical accompaniment with their cleanup. Some special guests attended this cleanup, including the mayor of Evanston and a scuba diver who searched for litter beneath the waves. SUNY Fredonia students led by Professor Christina Jarvis picked up 187 lbs. of litter from Point Gratriot Beach in Dunkirk, NY. They removed 4,295 pieces of plastic! 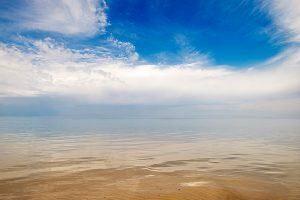 The Superior Watershed Partnership is dedicated to the protection of Lakes Superior, Huron, and Ontario. 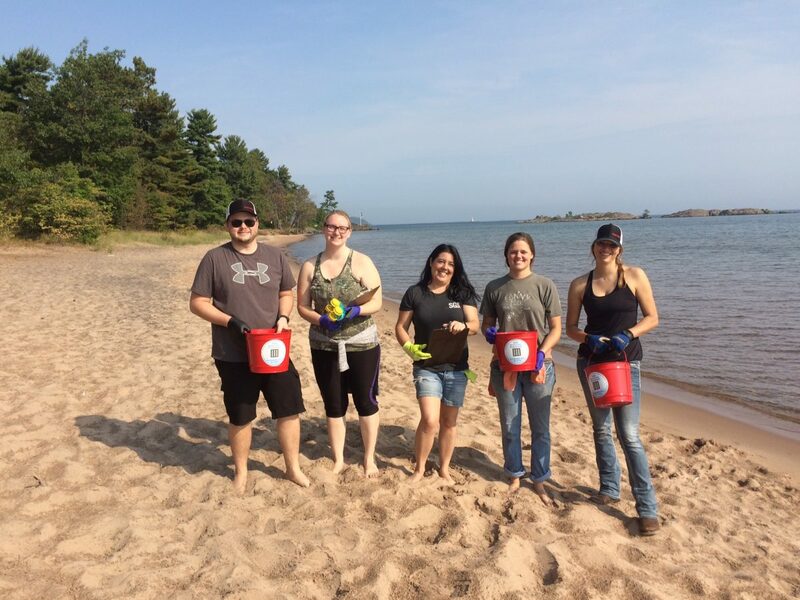 Led by team leader Emily Goodman, their team cleaned up McCarty’s cove in Marquette, MI. The most common litter item they found was cigarette butts — 605 of them! 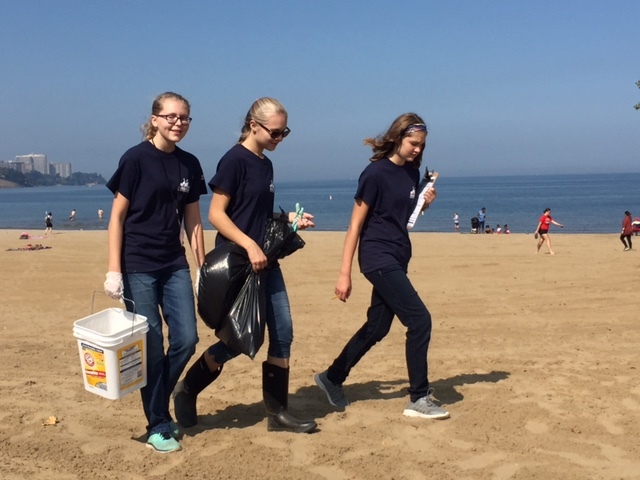 This team of 25 cleaned up Edgewater Beach in Cleveland, OH. 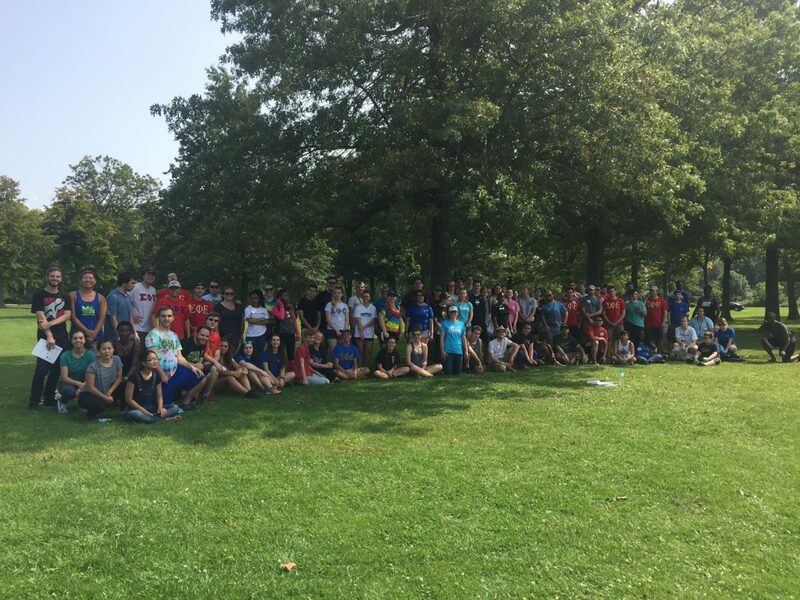 Their cleanup was part of Cleveland Metroparks Zoo Crew, a program for teens that focuses on conservation and encourages teens to learn responsibility.